Abstract: Electoral rules matter for how individuals' information and policy preferences get aggregated, but little is known about how they affect the quality of elected officials. To address this question we exploit a unique field experiment which introduced randomized variation in the method of elections of village councils in 250 Afghan villages. In particular, we compare at-large elections with district elections. We propose a theoretical model where the difference in electoral systems occurs because elected legislators have to bargain over policy, and in district elections, citizens have a strategic motive to elect candidates with more polarized policy positions at the expense of competence. Empirical results prove consistent with the predictions of the model. Specifically, we find that competent candidates are more likely to be elected in at-large elections and that this difference is larger in more heterogeneous villages. Abstract: Using data from a field experiment in 500 villages, we study how local institutions affect the quality of governance, as measured by aid distribution outcomes. In villages where elected councils exist and manage distributions, aid targeting improves. However, if the distribution is not clearly assigned to either the council or to customary leaders, the creation of elected councils increases embezzlement and makes decision-making less inclusive. Requiring that women manage the distribution jointly with customary leaders also increases embezzlement. Thus, while elected councils can improve governance, overlapping mandates between new and existing institutions may result in increased rent-seeking. Abstract: Abstract: Direct democracy is designed to better align policy outcomes with citizen preferences. Using a randomized field experiment in 250 villages across Afghanistan, we compare outcomes of the selection of village-level development projects through secret-ballot referenda and through consultation meetings. We find that elites exert more influence over resource allocation decisions in consultation meetings as compared with referenda. Referenda also improve public satisfaction. The results indicate that the use of direct democracy in public resource allocation mitigates elite capture and results in more legitimate outcomes than those produced by consultative processes. Abstract: In societies with widespread gender discrimination, development programs with gender quotas are considered a way to improve women's economic, political, and social status. Using a randomized field experiment across 500 Afghan villages, we examine the effects of a development program that mandates female participation. We find that even in a highly conservative context like Afghanistan, such initiatives improve outcomes specific to female participation in some economic, social, and political activities, including increased mobility and income generation. They, however, produce no change in more entrenched female roles linked to family decision-making or in attitudes toward the general role of women in society. Abstract: Development programs have been increasingly used not only as an instrument for economic and political development, but also as a tool for counter-insurgency. 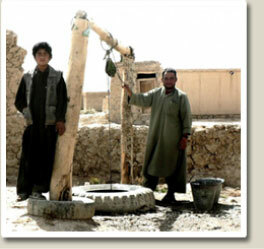 Using a large-scale randomized field experiment in Afghanistan, we explore whether the inclusion of villages in the country's largest development program alters perceptions of well-being, attitudes towards the government, and levels of security in surrounding areas. We find that the program has a positive effect on all three measures in relatively secure regions, but no effect on attitudes and security in areas with high levels of initial violence, suggesting that a certain minimum threshold of security has to be in place for the provision of goods and services to have an effect on improving attitudes towards the government and reducing violence.